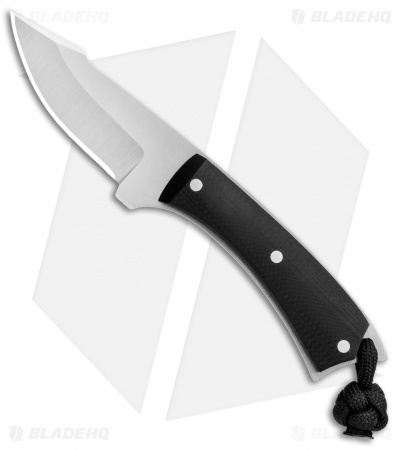 Get some pocket sized fun in the palm of your hand with the PocketPoon from Lake Country Knife and Tool. This model is built with a satin finished harpoon blade made from AEBL steel and a black G-10 handle. The compact design and tough build make this an ideal choice for EDC. 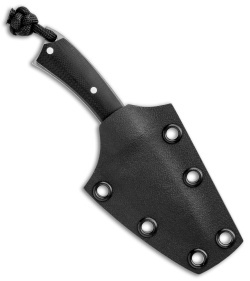 A kydex sheath and a black paracord lanyard finish off the outstanding design. 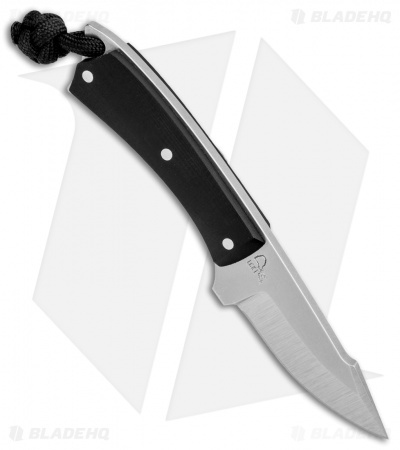 The harpoon blade shape is exactly what you want for maximum utility on a blade this size. Feels great in hand in spite of the size. The AEB-L is what makes this blade unique though. I've seen it titled "stainless 52100" and with my experience using both steels I would agree. Very easy to get 10000/10 sharp. This steel just yearns to cut.